Controls the cap style of the line. Set to one of Qt.FlatCap, Qt.SquareCap or Qt.RoundCap. By default the cap style is Qt.SquareCap. Controls the style of the line. Set to one of Qt.NoPen, Qt.SolidLine, Qt.DashLine, Qt.DotLine, Qt.DashDotLine or Qt.DashDotDotLine. Using Qt.CustomDashLine is not supported in the QML API. 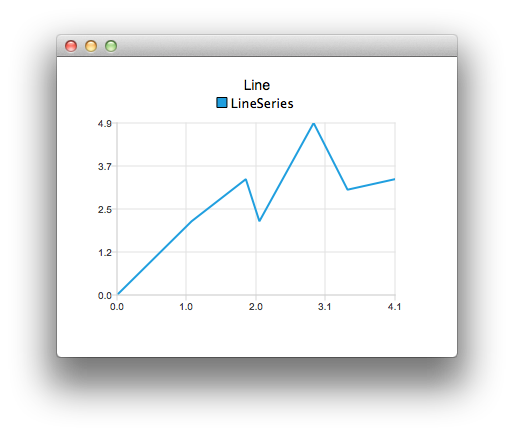 By default the style is Qt.SolidLine. The width of the line. By default the width is 2.0.